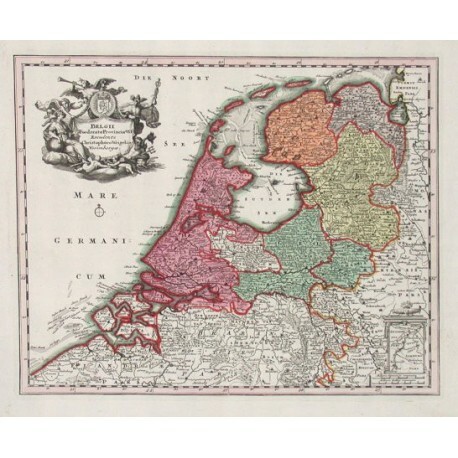 "Belgii Foederato Provinciae VII". Copper-engraving published by Ch. Weigel (ca. 1720). Coloured. With figure and heraldic cartouche and small side-map of Maastricht with its environs. 27,5:34 cm (10 3/4 x 13 1/2 inch.). 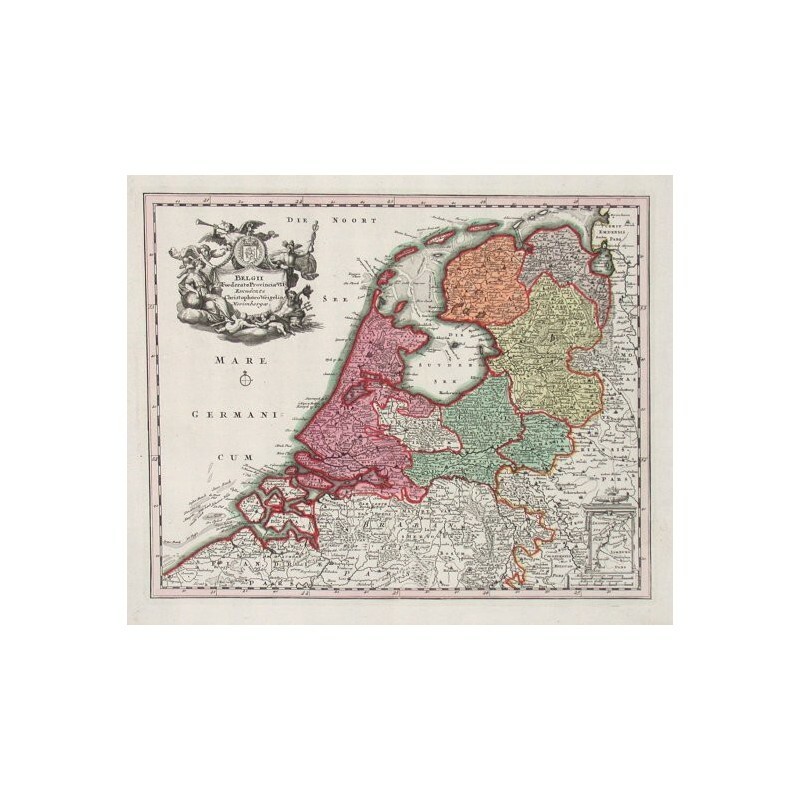 Decorative map of the Netherlands.